Below is a summary of the items in your basket. Want to make your purchase later? Simply add your email address in the field below to send a copy of this basket to your inbox. But Hurry! Price and availability can change at short notice. By entering your email address you consent to receive the details of your search in order to complete your order. 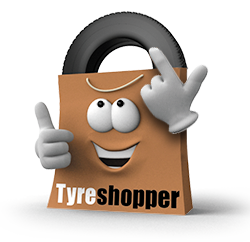 At Tyre Shopper, we want you to be totally satisfied with your purchase. 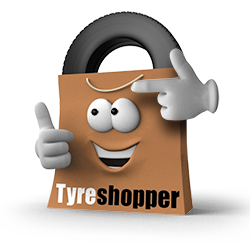 If, within 7 days of delivery, you are not completely happy with your purchase, simply contact customerservices@tyreshopper.co.uk or call our HelpLine on 0800 731 0133 and we will make arrangements for you to return your tyre to the original fitting centre. As long as the tyre is unused and undamaged and you present your original receipt, we'll exchange it or offer you a full refund. All Tyre Shopper products are guaranteed against manufacturing defects for a minimum of 1 year. In the event that a manufacturing defect is claimed, tyre manufacturers must establish liability in order for Tyre Shopper to warrant a tyre. If a tyre is deemed warrantable by the manufacturer, a credit will be raised, which will be in full minus a percentage of the remaining tread depth. We would request that customers understand the need for proper tyre examination by the manufacturer before establishing liability to replace the tyre. For this reason, it is not always possible to resolve new tyre problems on the spot. Your statutory rights are unaffected.